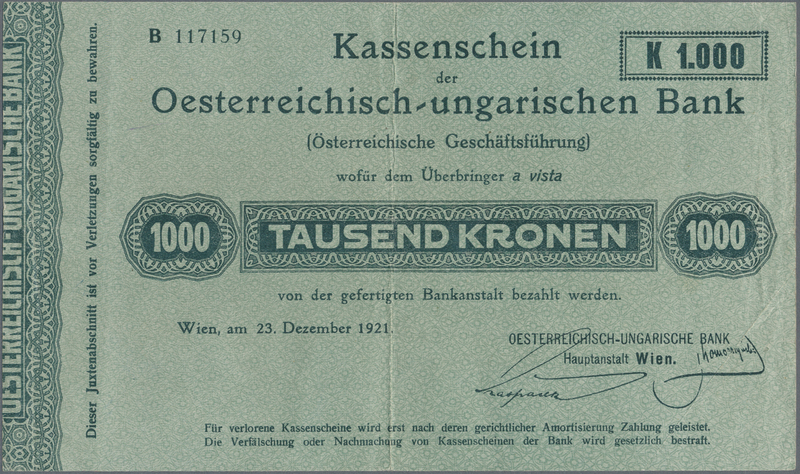 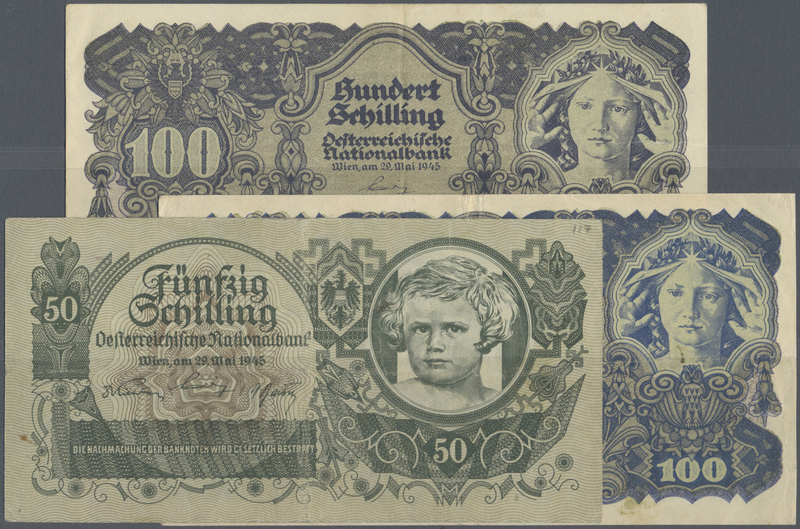 1035 Pick 27b 5 Pounds ND portrait KGIV P. 27b, strong paper, pressed dry, light center fold and handling in paper, no holes or tears, nice original colors, condition: XF- to XF. 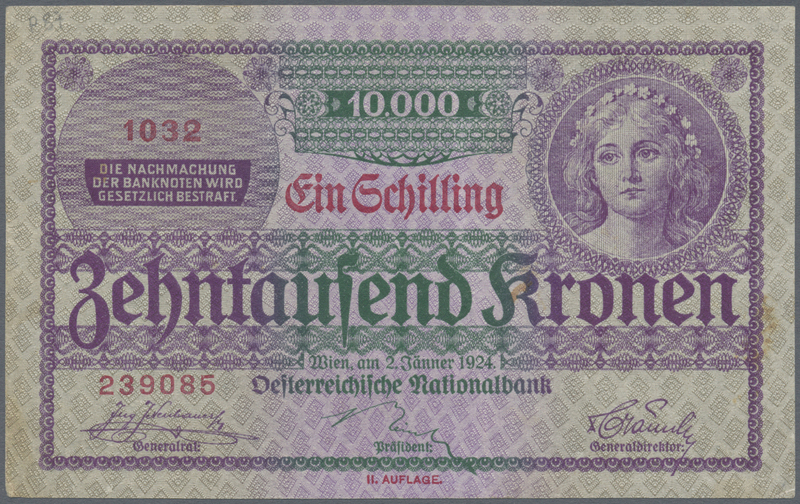 1036 Pick 30r 1 Pound ND(1953-60) QEII P. 30r, replacement / star note, light folds in paper, probably pressed dry, no tears, nice colors, condition: VF to VF+. 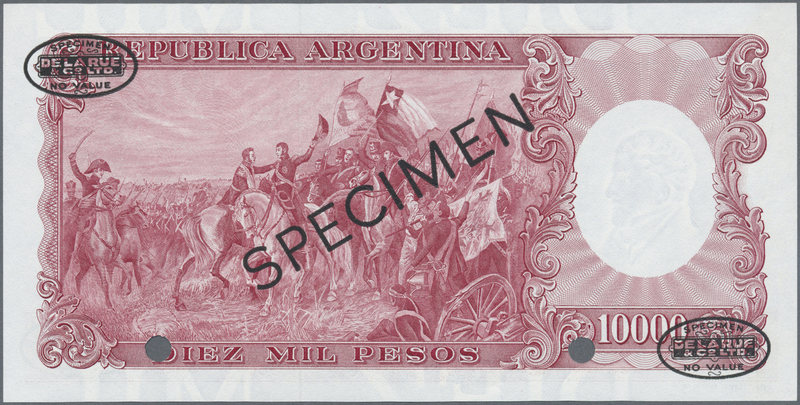 1037 Pick 47c 50 Dollars ND(1973-94) P 47c, crisp original paper with bright original colors, only one very light and very very hard to see center bend, condition: aUNC+. 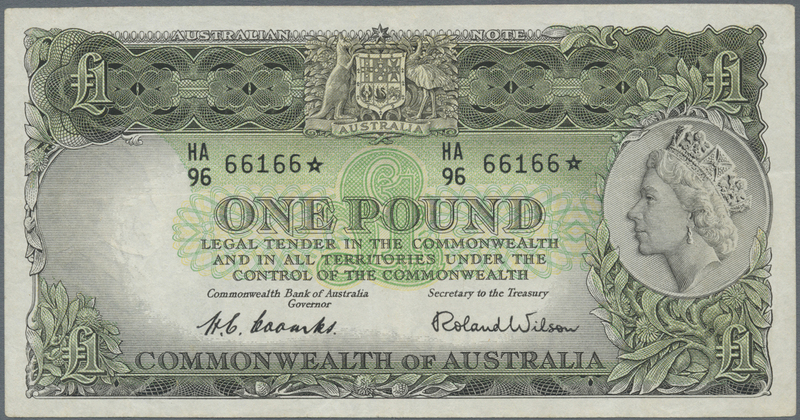 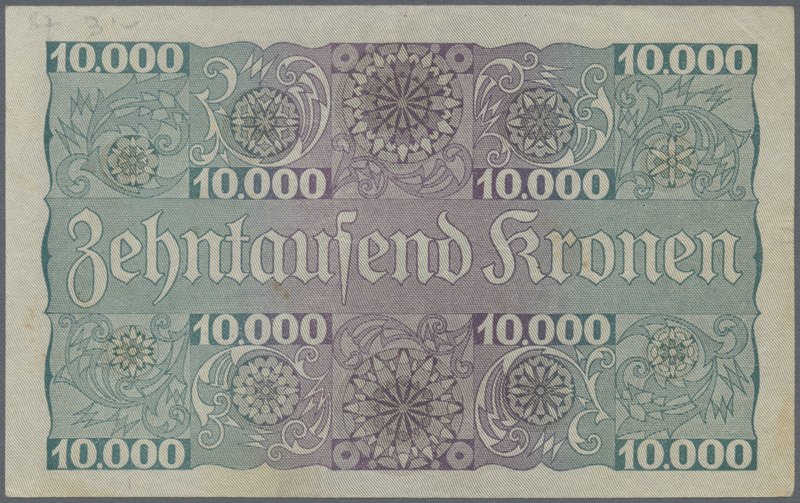 1039 Pick 34r 1 Pound ND(1953-60) QEII P. 34r replacement / star note, used with folds and light stain in paper, pressed, no holes or tears, still nice colors, condition: F+ to VF-. 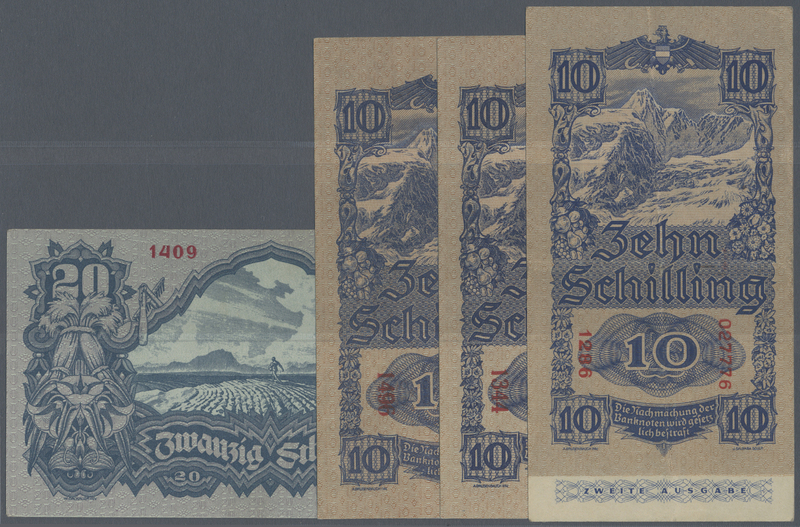 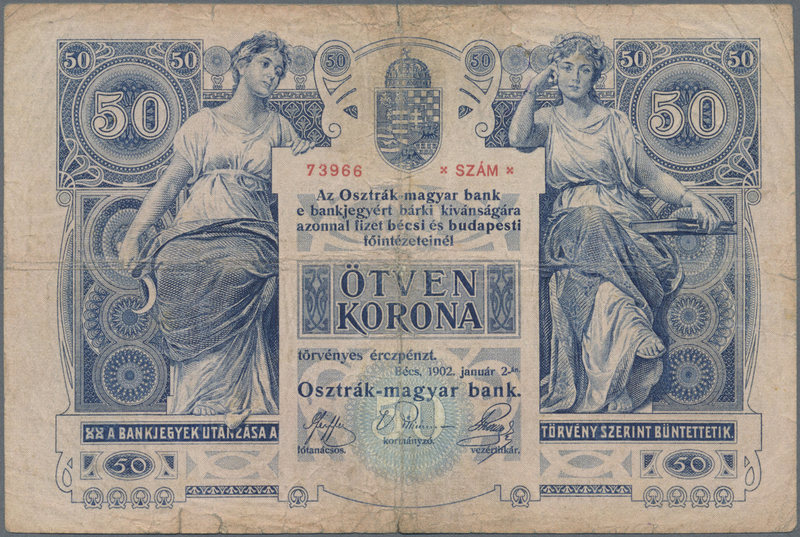 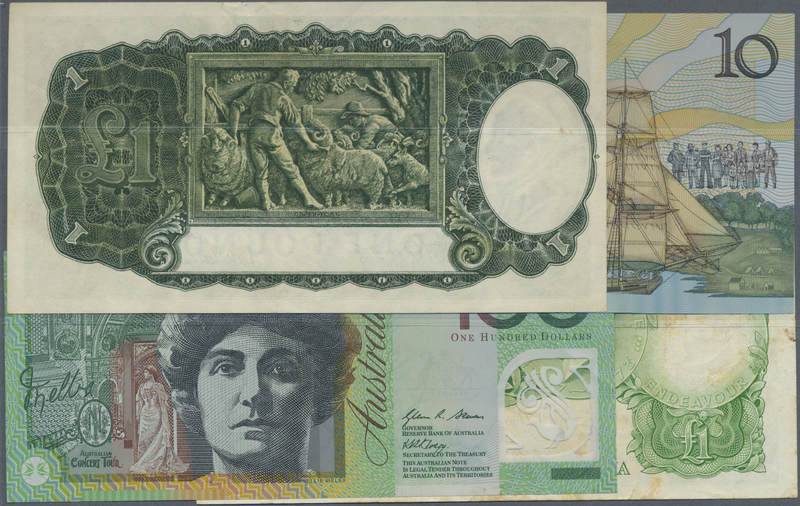 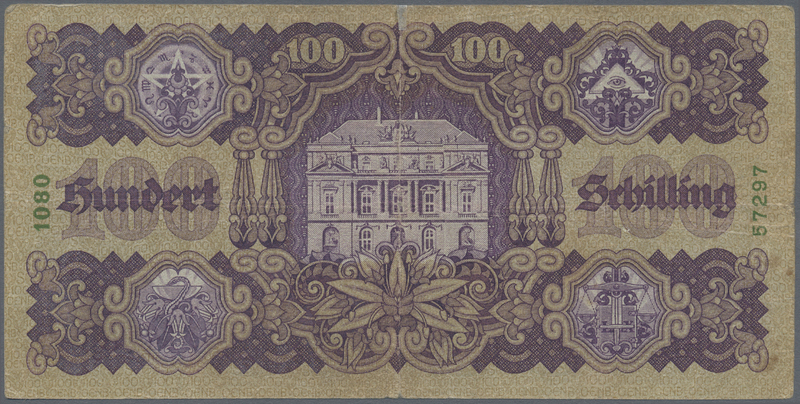 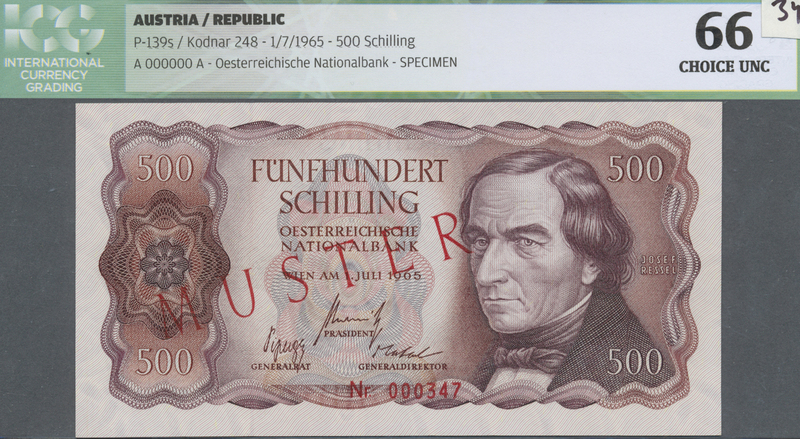 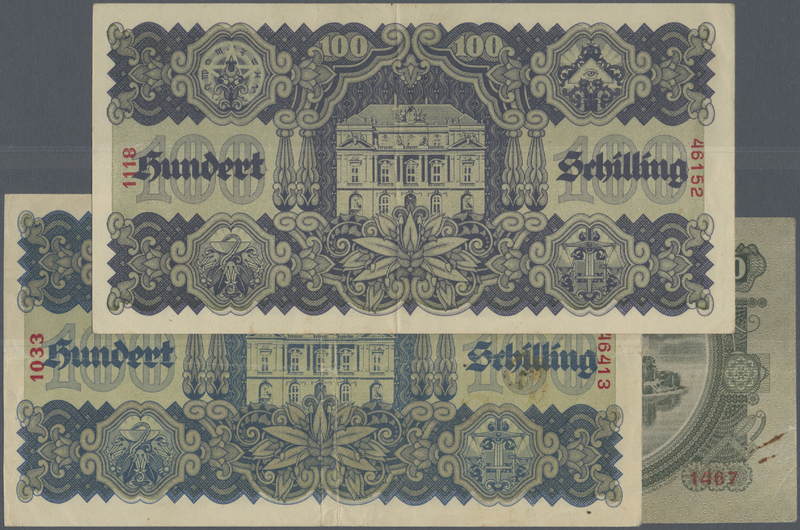 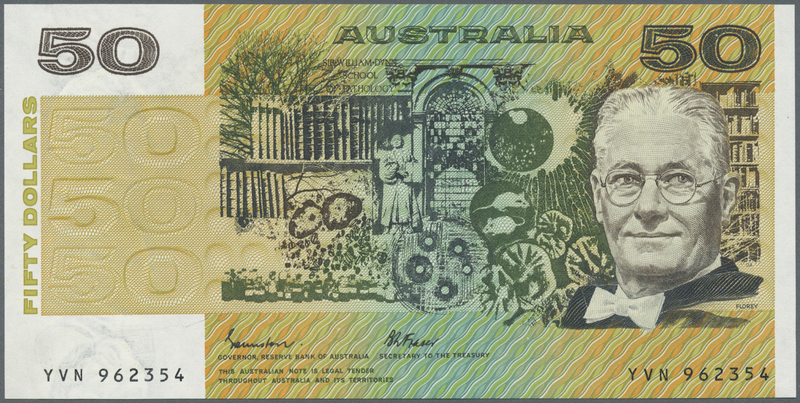 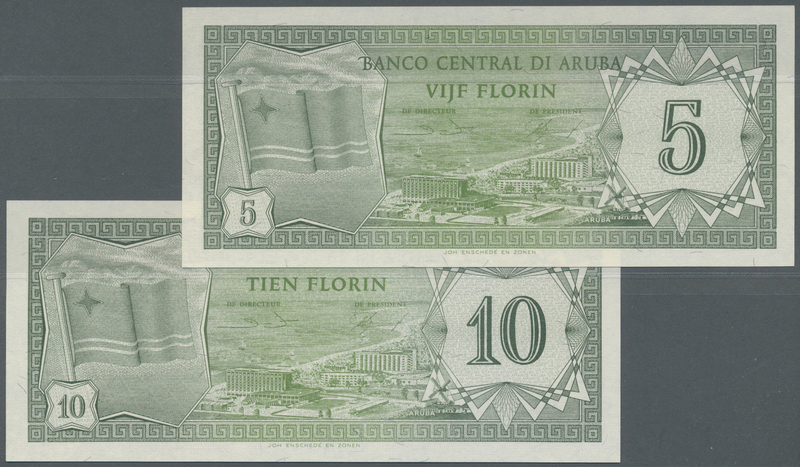 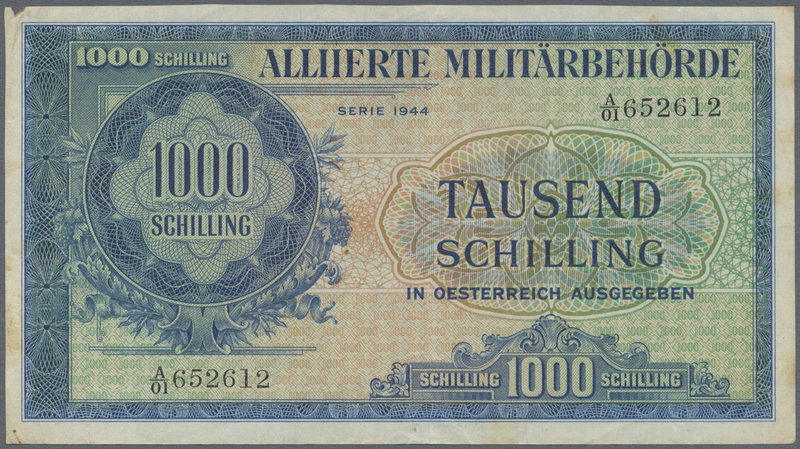 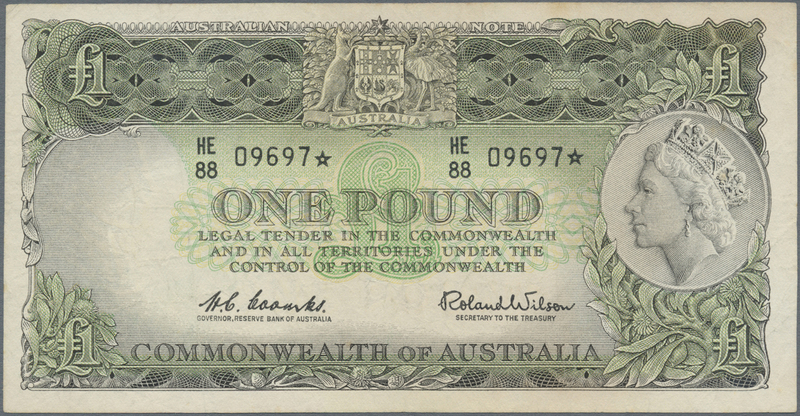 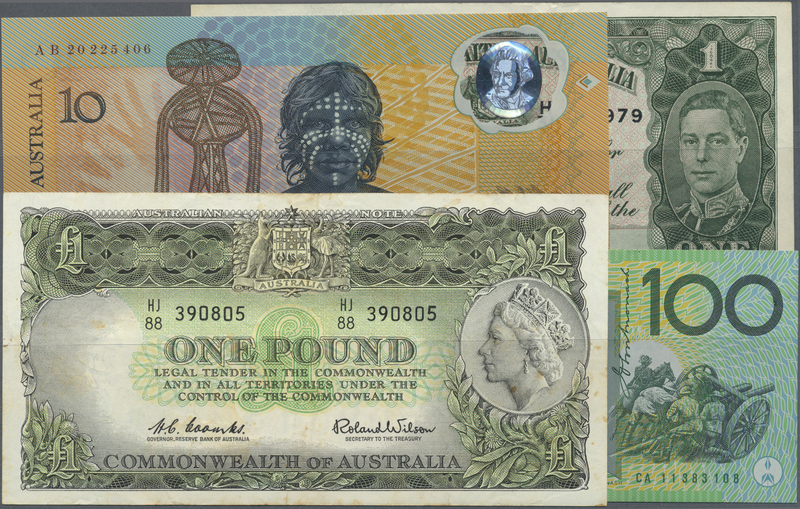 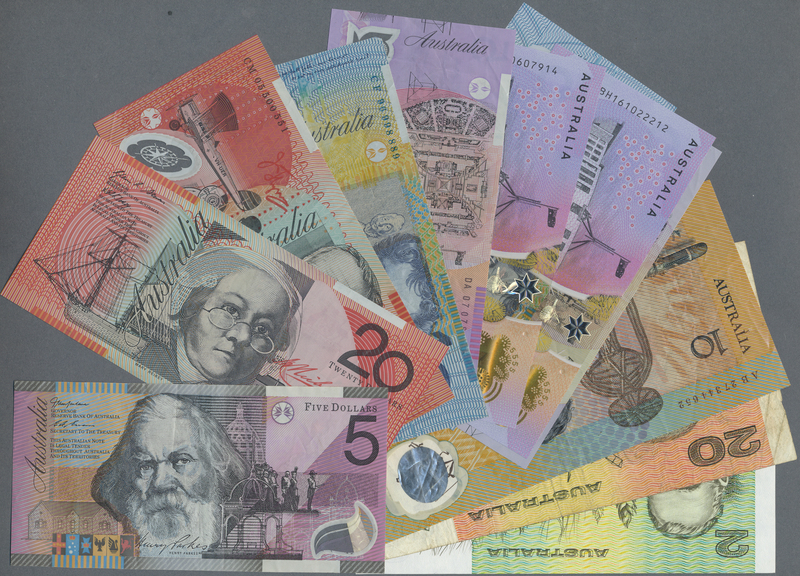 1040 Pick 36a 10 Pounds ND(1960-65) P. 36a, used with some light folds in paper, strong paper with crispness, nice colors, no holes or tears, condition: VF. 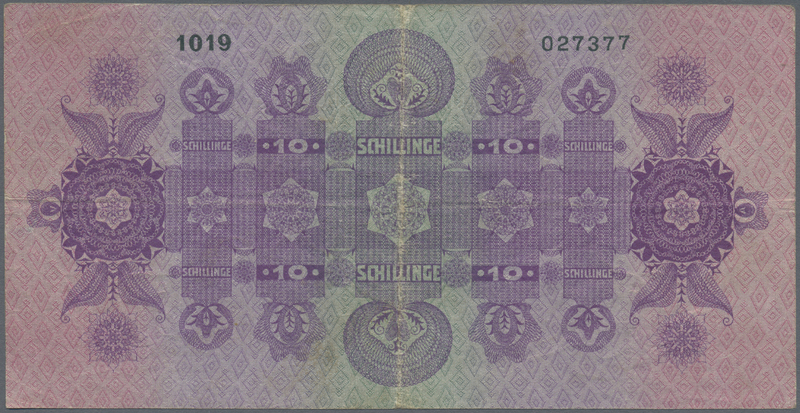 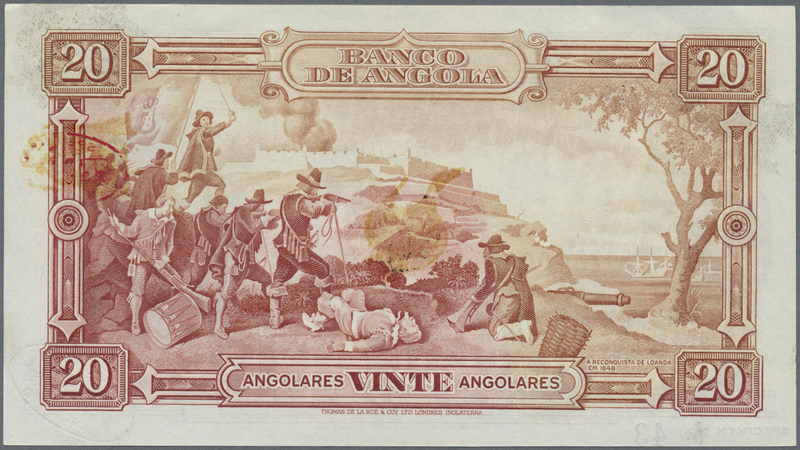 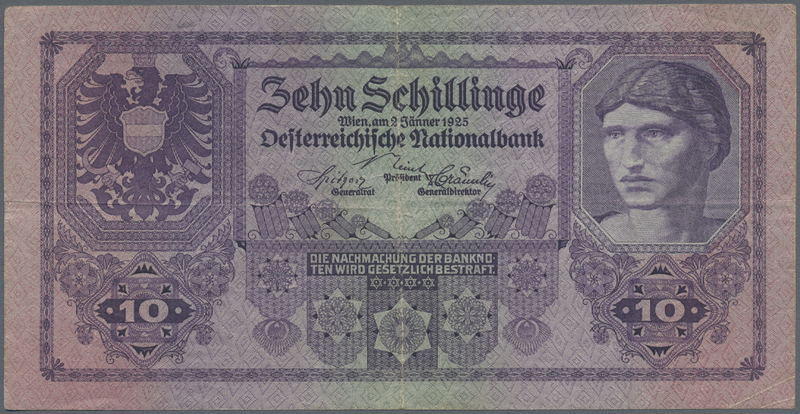 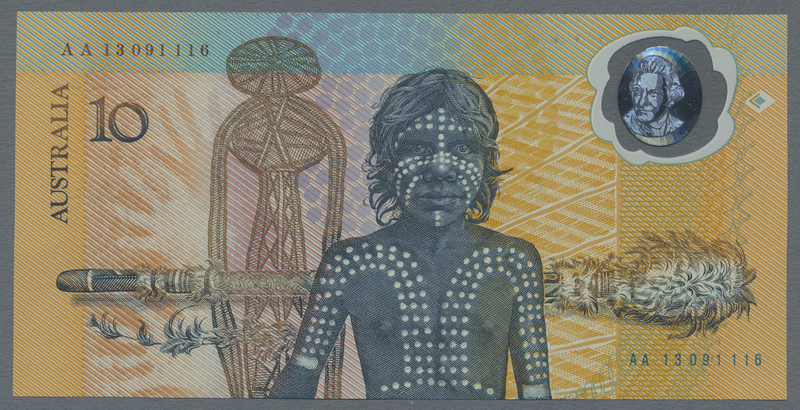 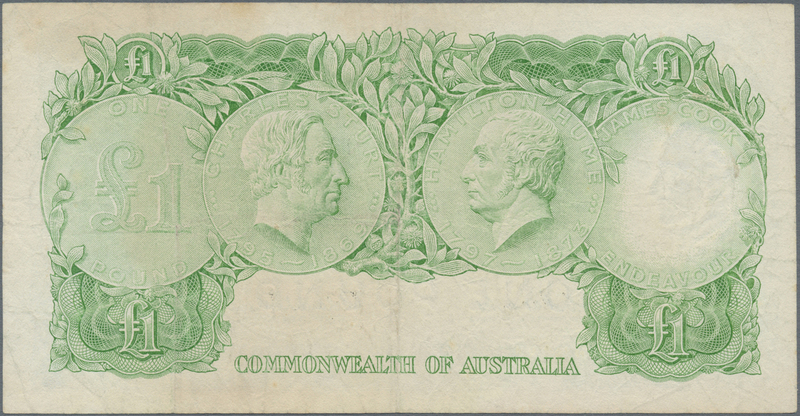 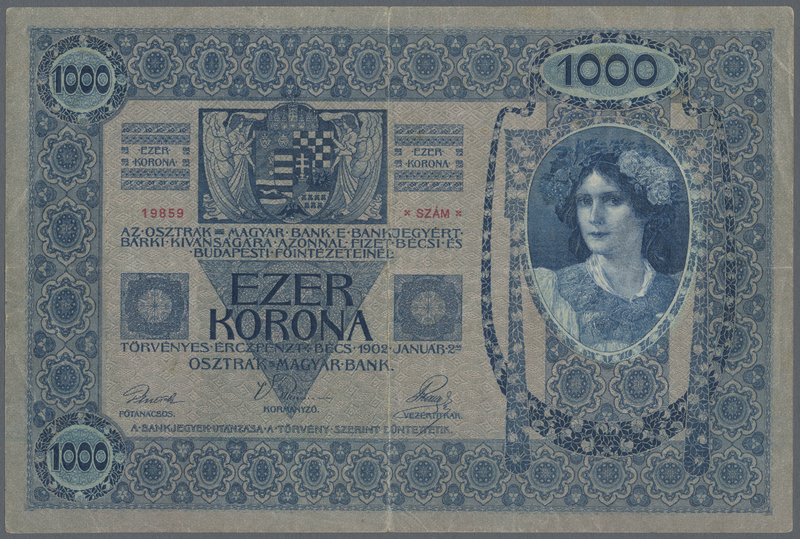 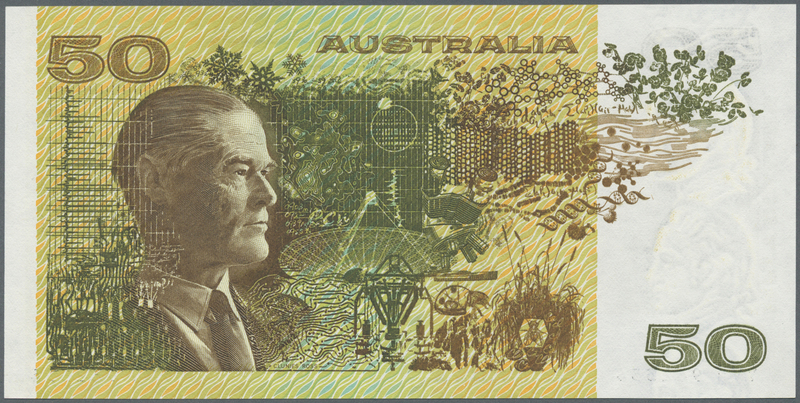 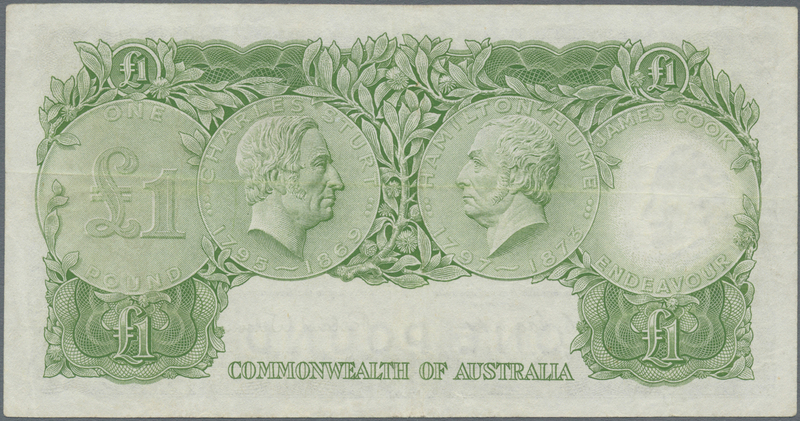 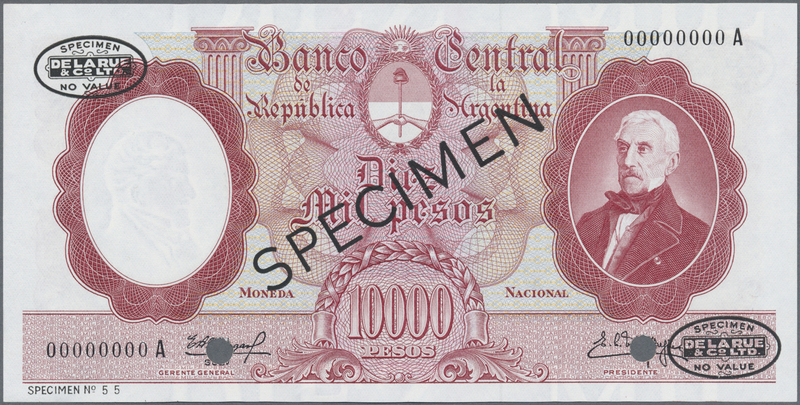 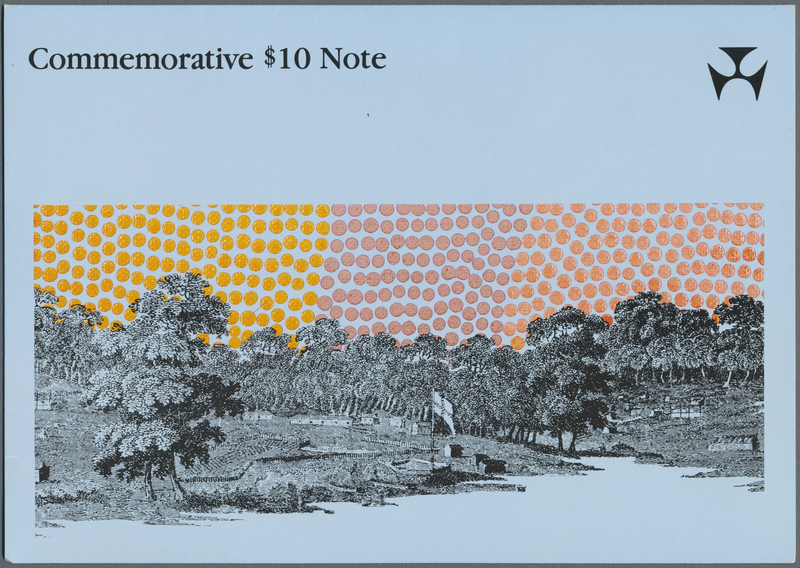 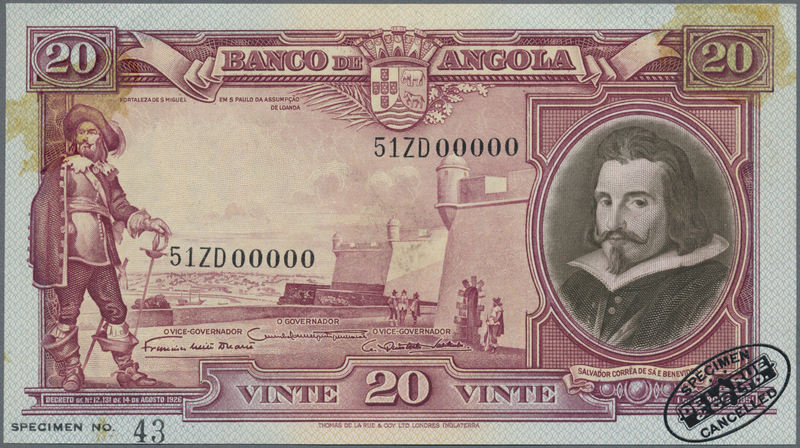 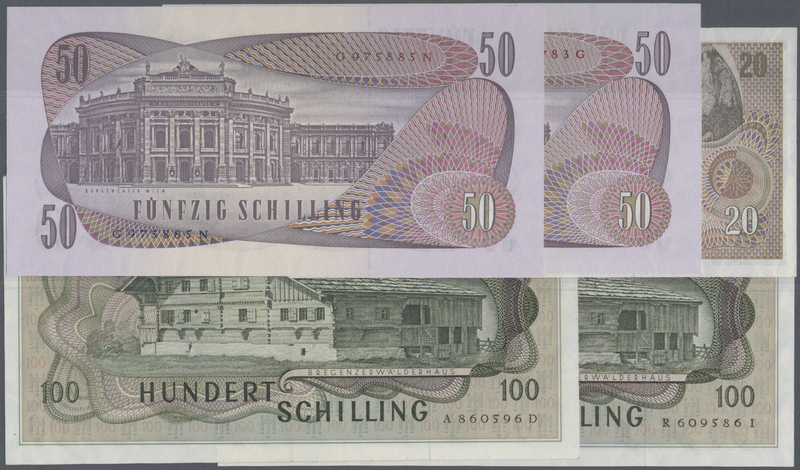 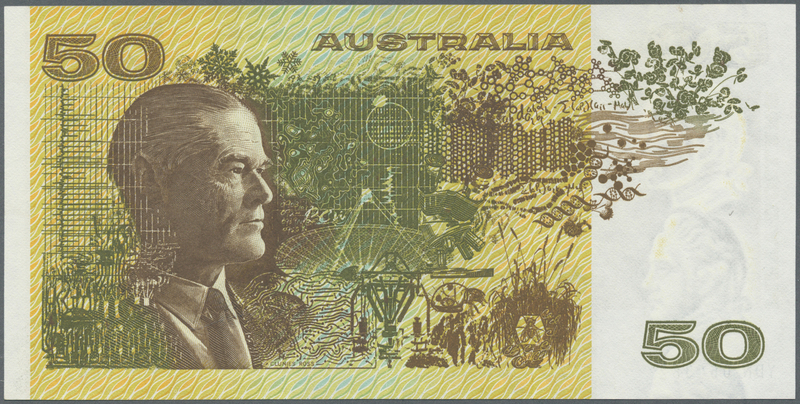 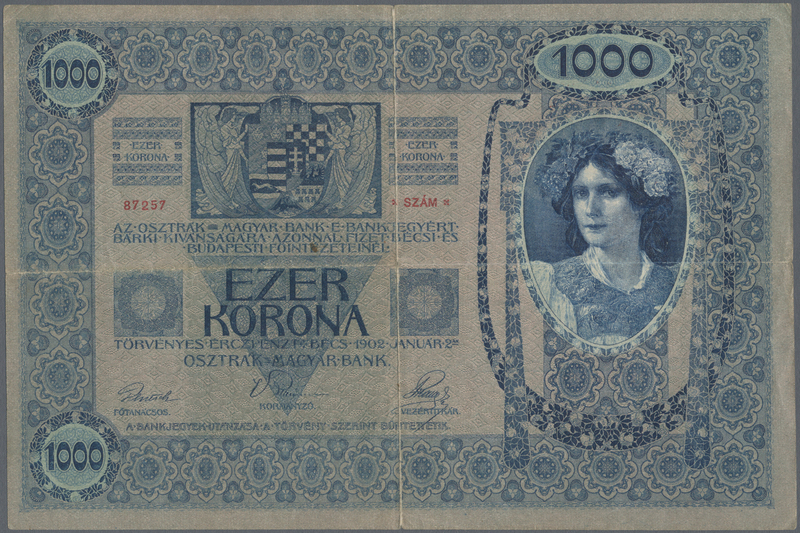 1041 Pic 47e 50 Dollars ND(1973-94) P. 47e, crisp original with bright colors, only 2 minor and hard to see dints in paper, no folds, condition: aUNC to UNC. 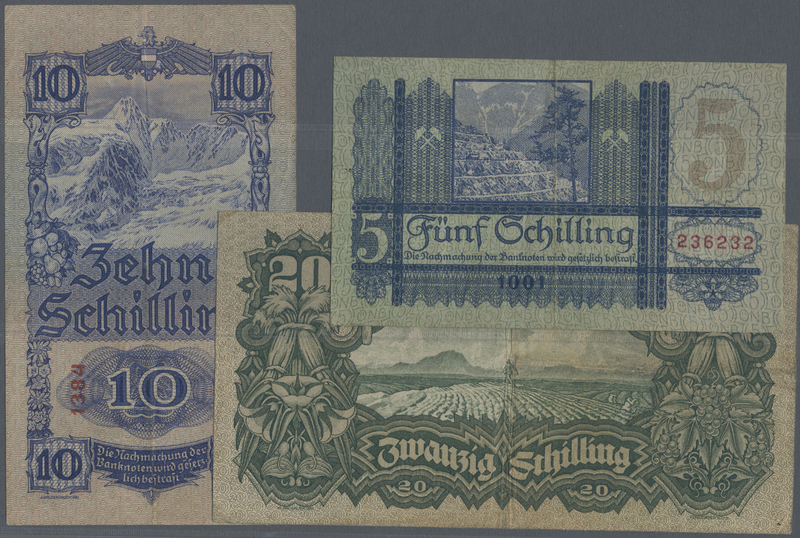 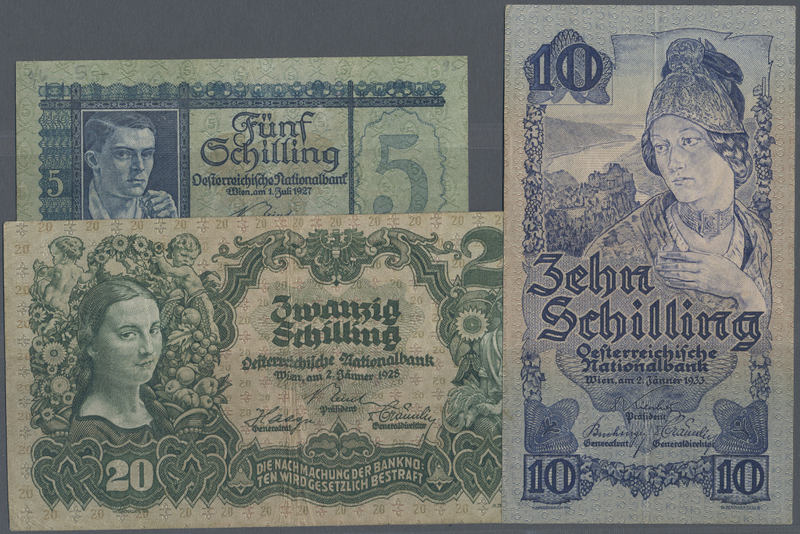 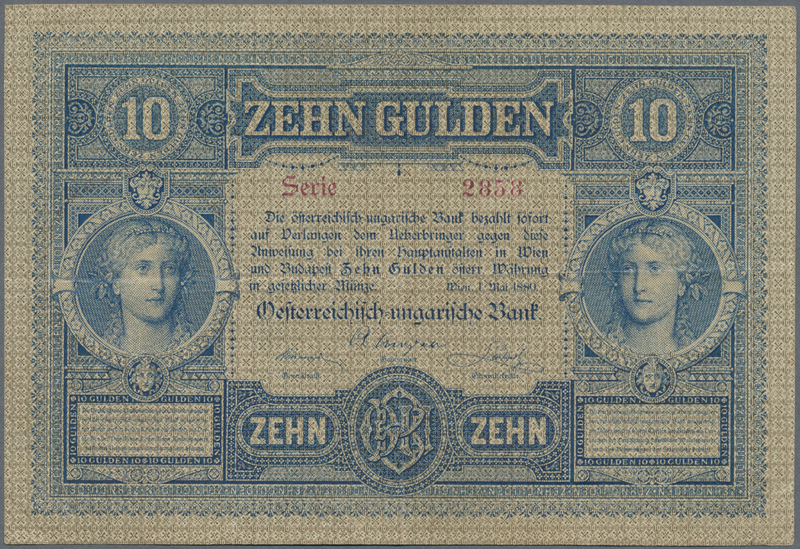 1044 Pick 1 10 Gulden 1880 P. 1, S/N 031021, used with several folds, stain in paper, tiny center hole, still nice colors and no repairs, condition: F to F+. 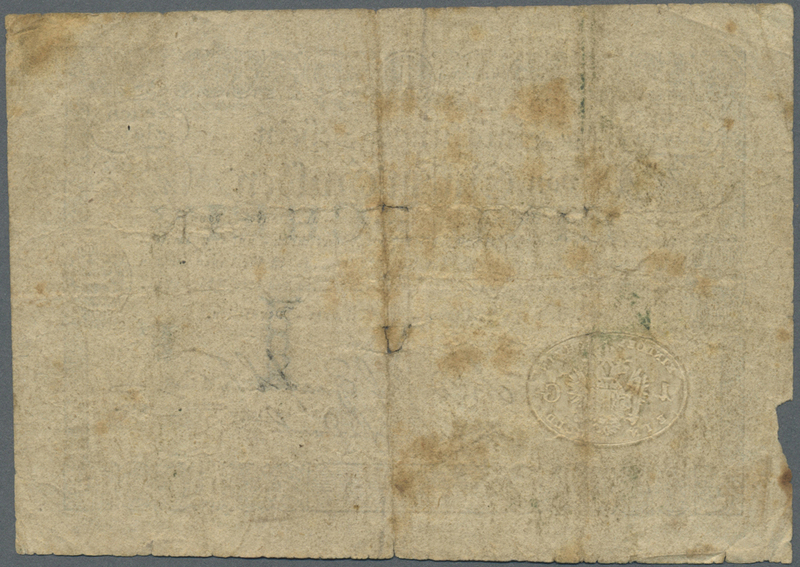 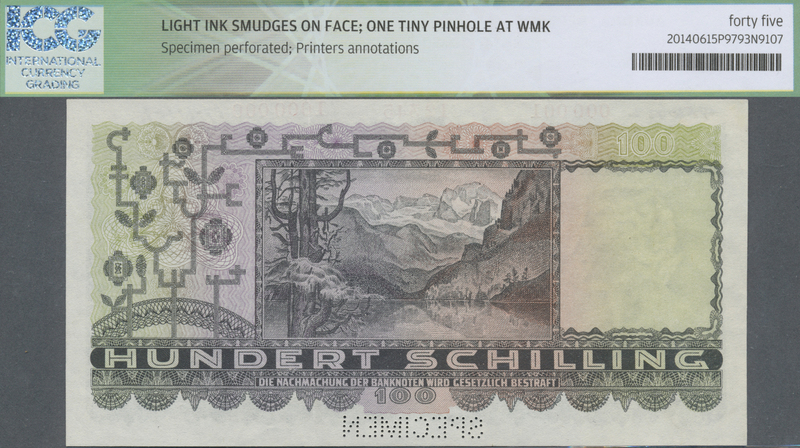 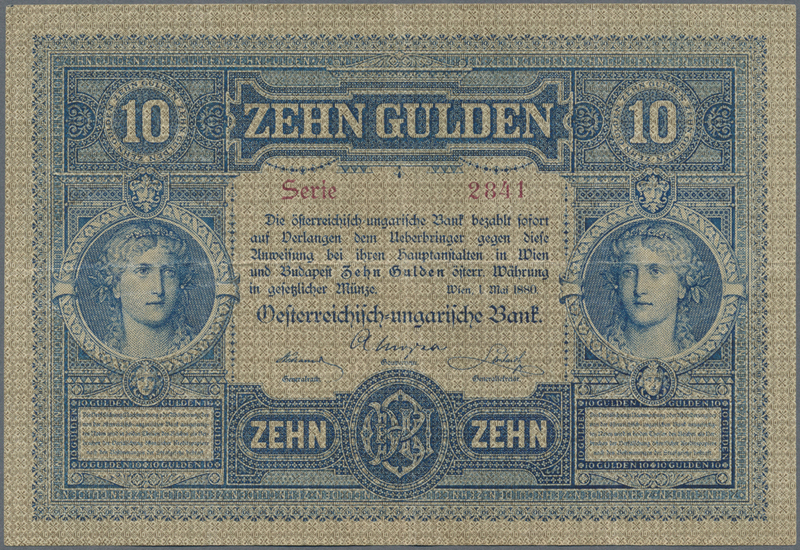 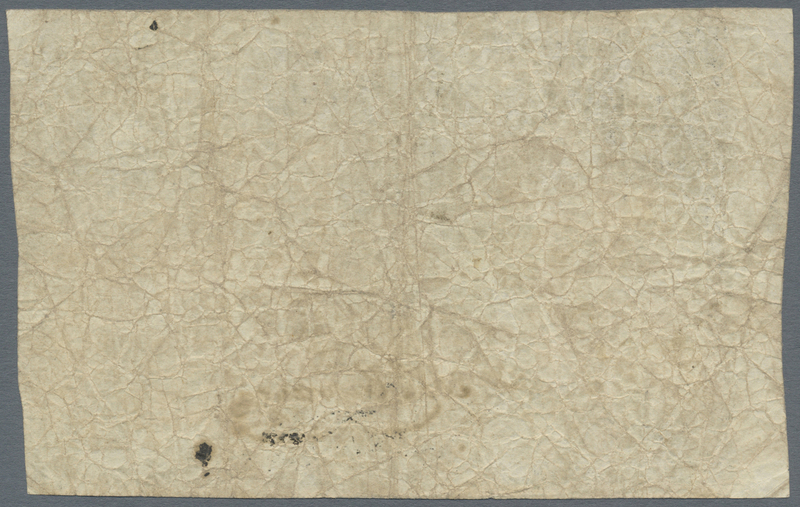 1045 Pick 1 10 Gulden 1880 P. 1, S/N 029317, used with several folds and creases, center hole, small border tear at right, 2cm tear at top border, still strongness in paper and nice colors, tiny center hole, no repairs, original as taken from circulation, condition: F-. 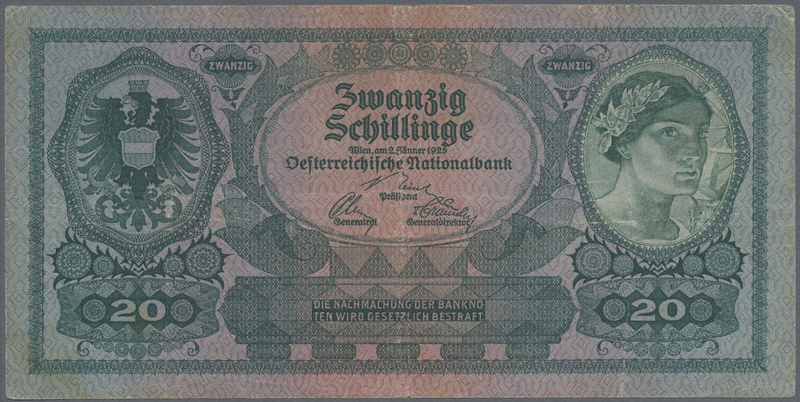 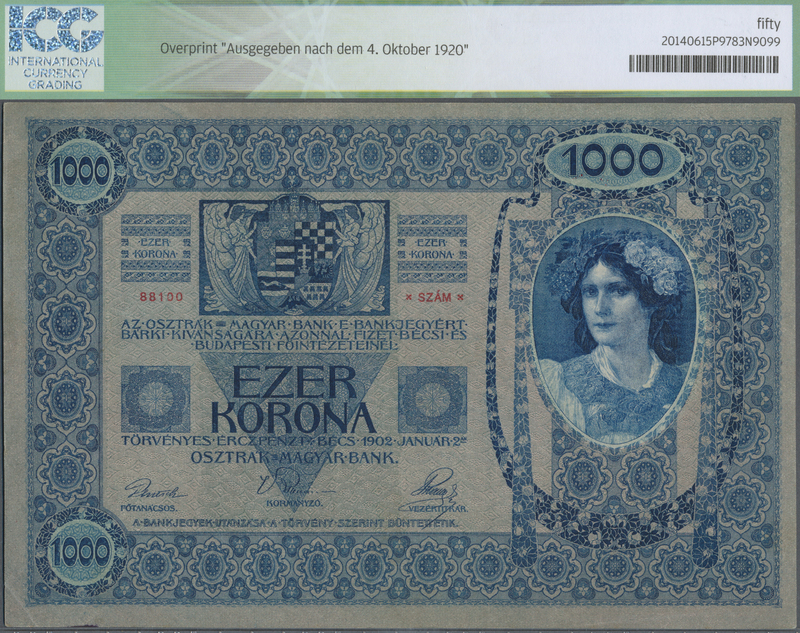 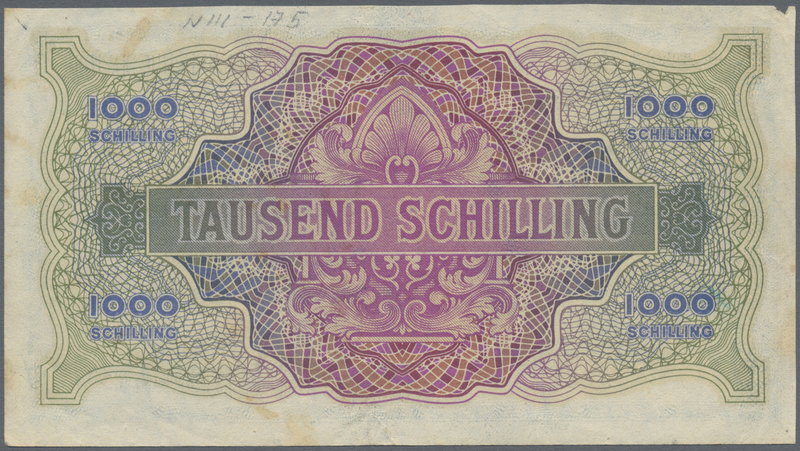 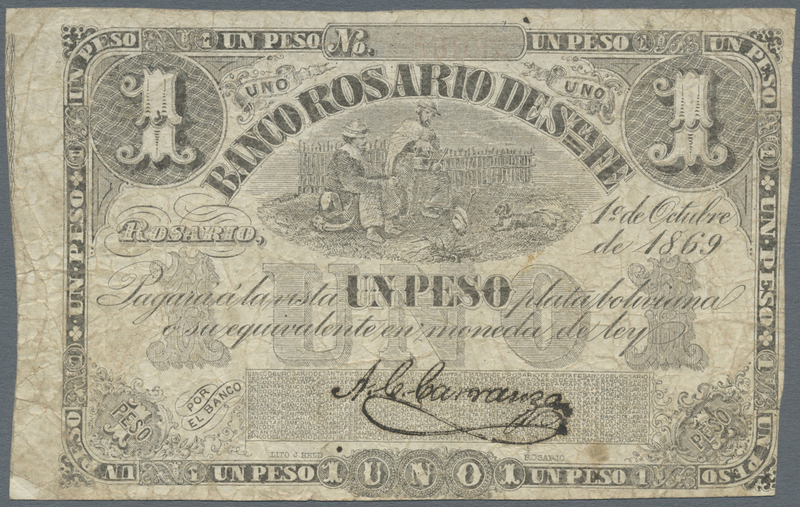 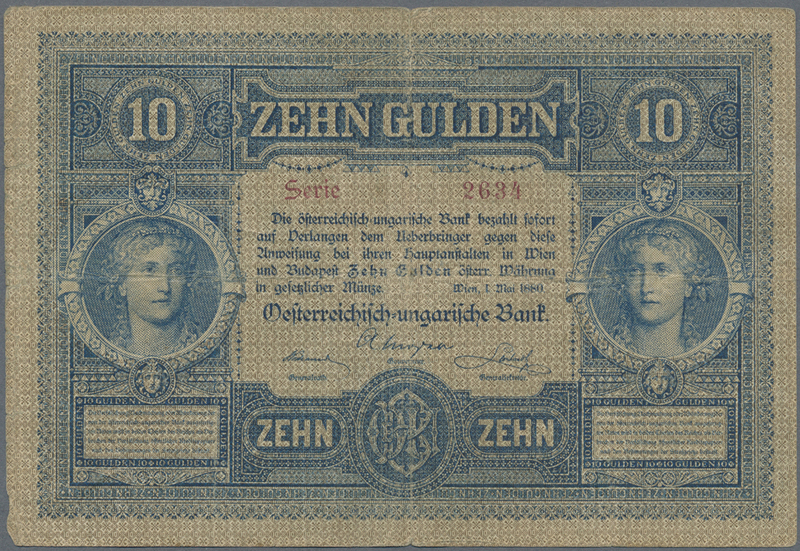 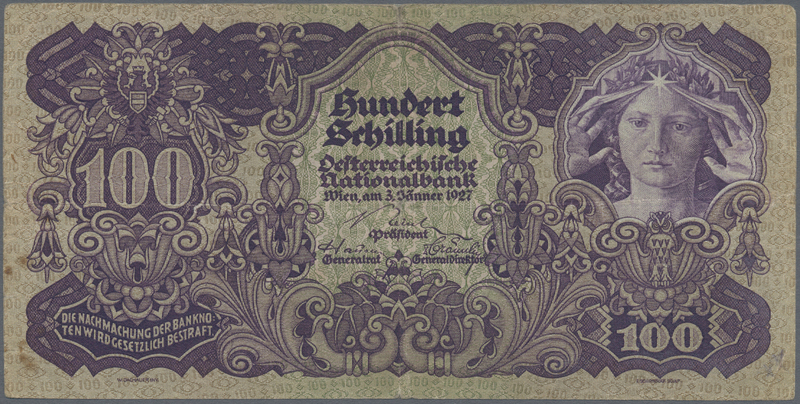 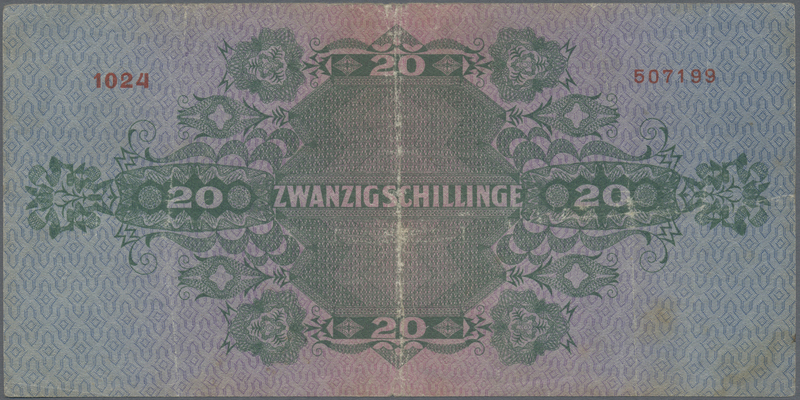 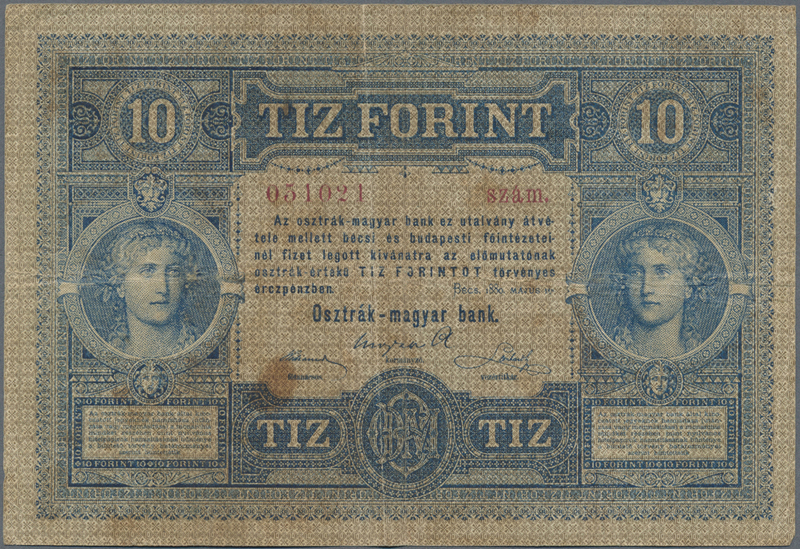 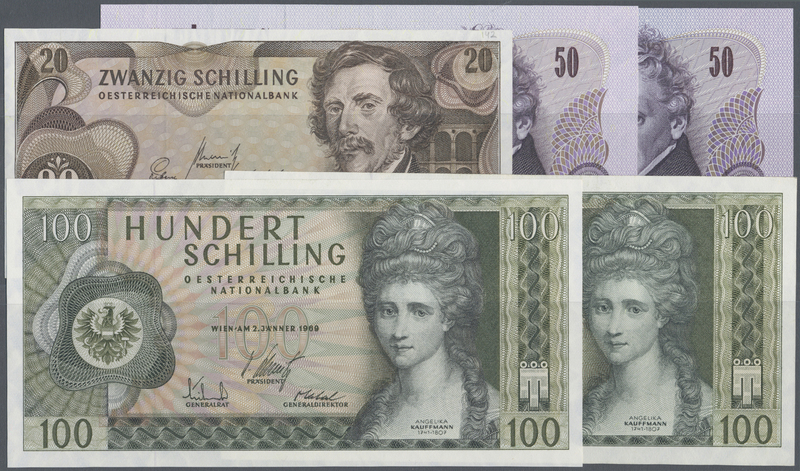 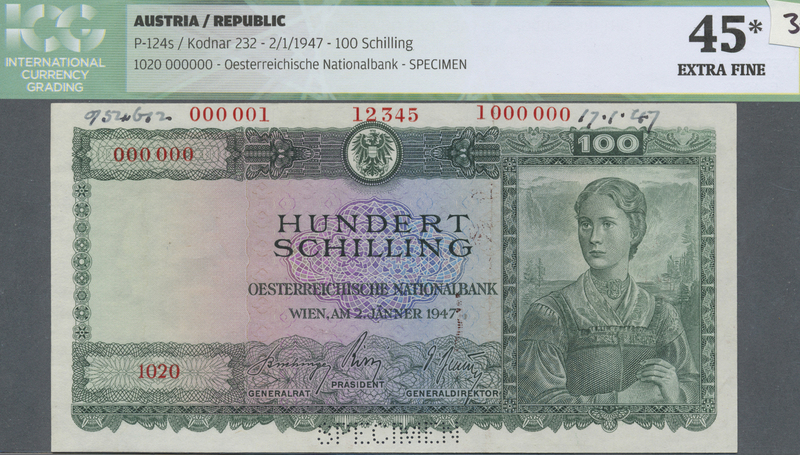 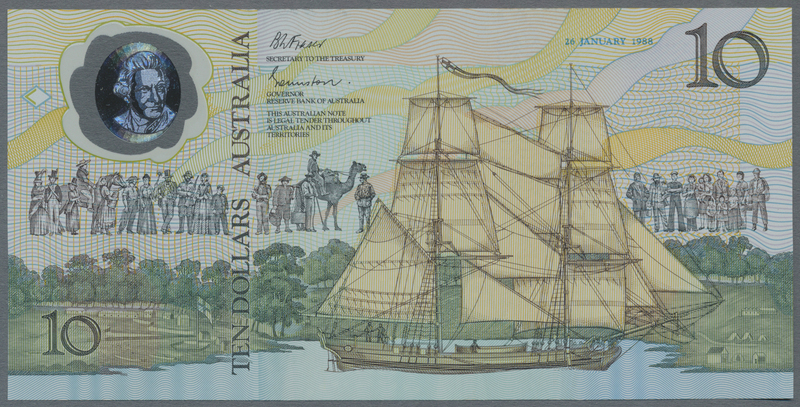 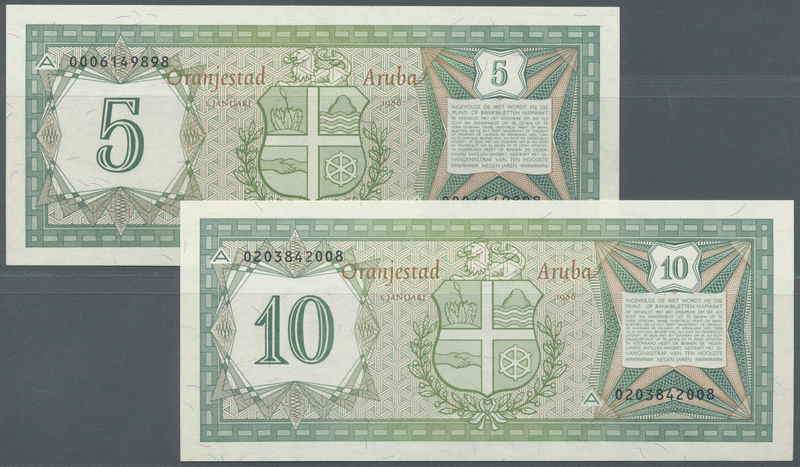 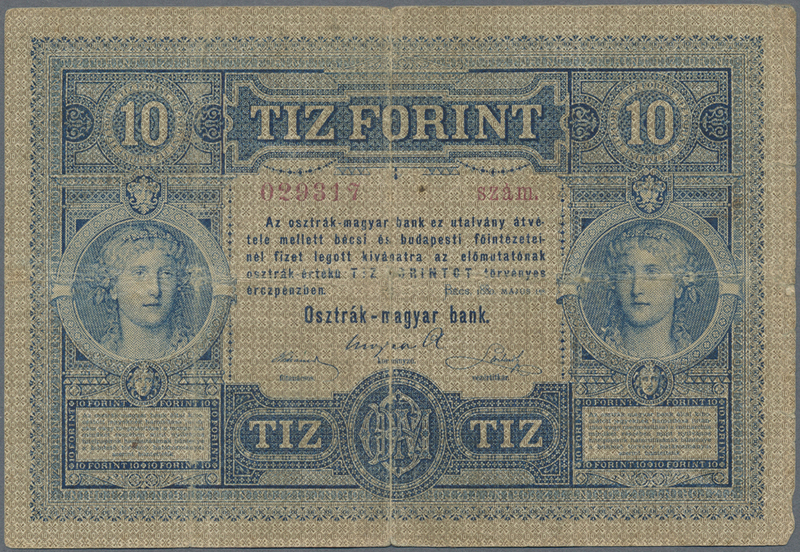 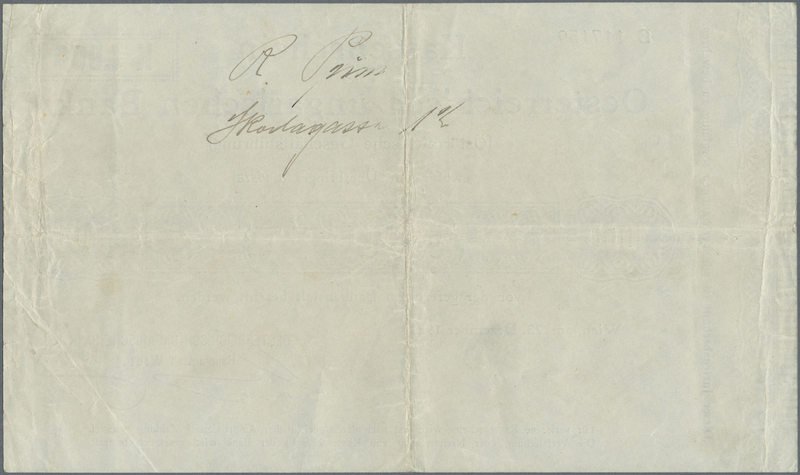 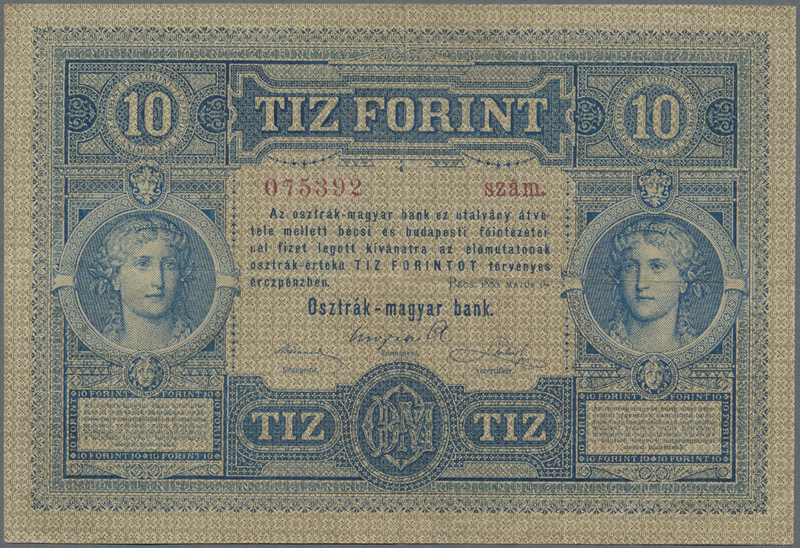 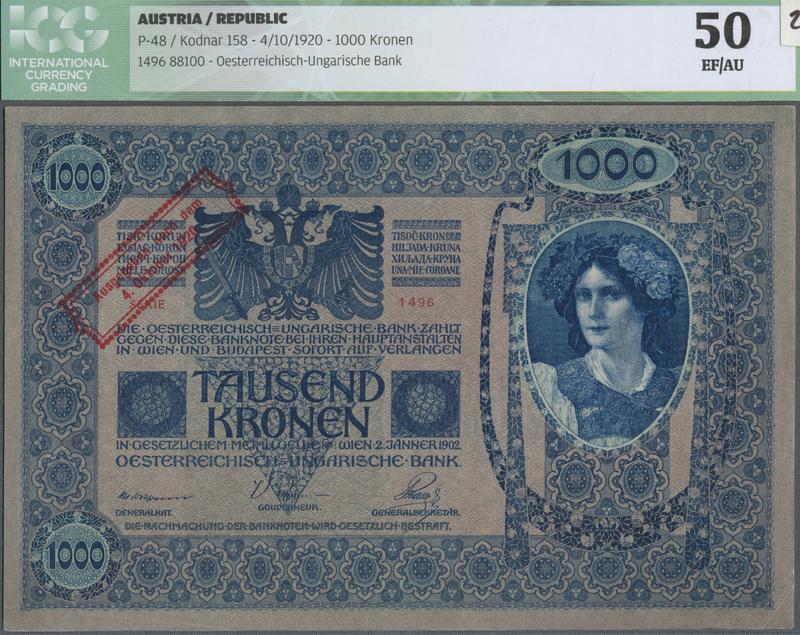 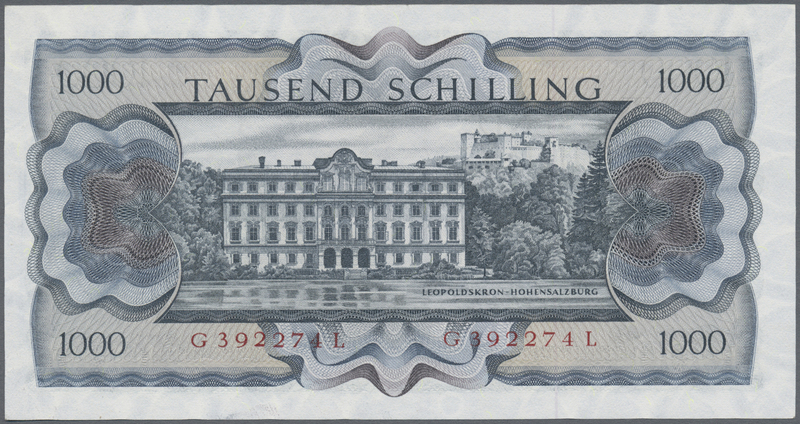 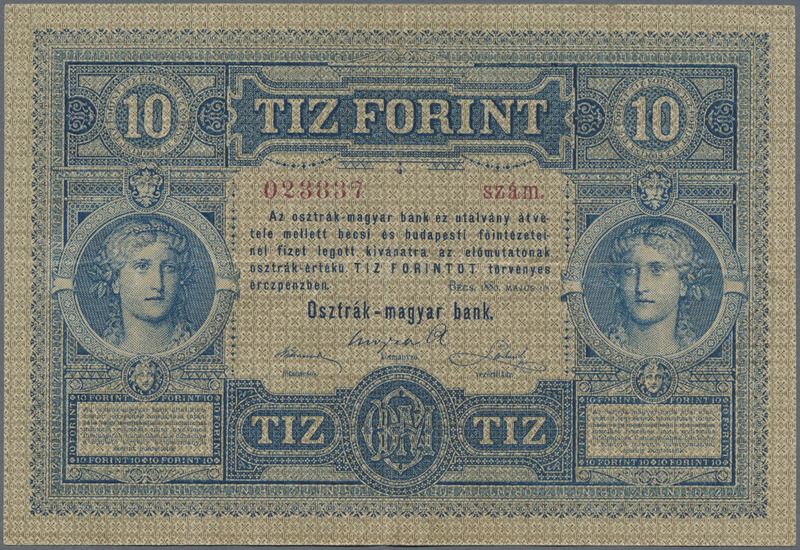 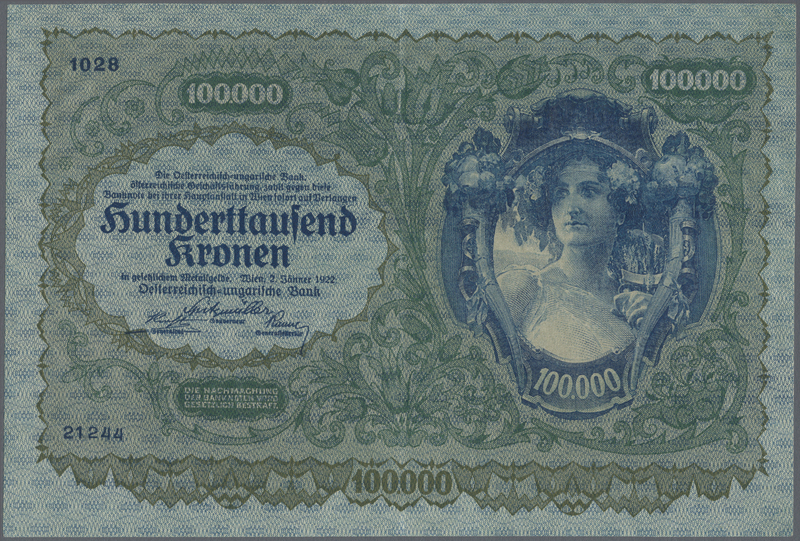 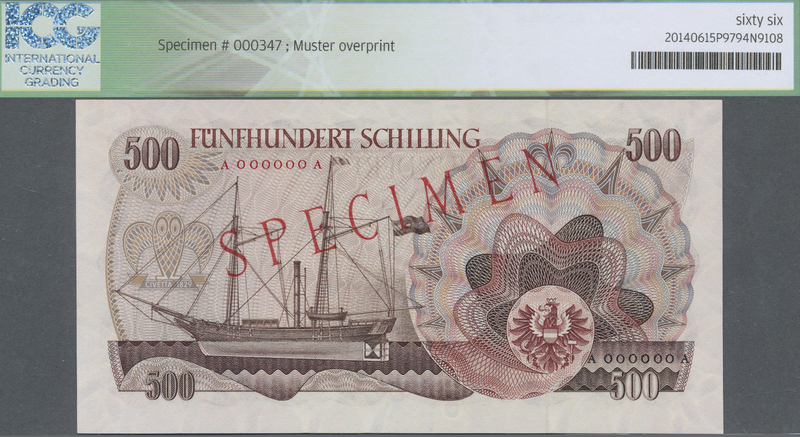 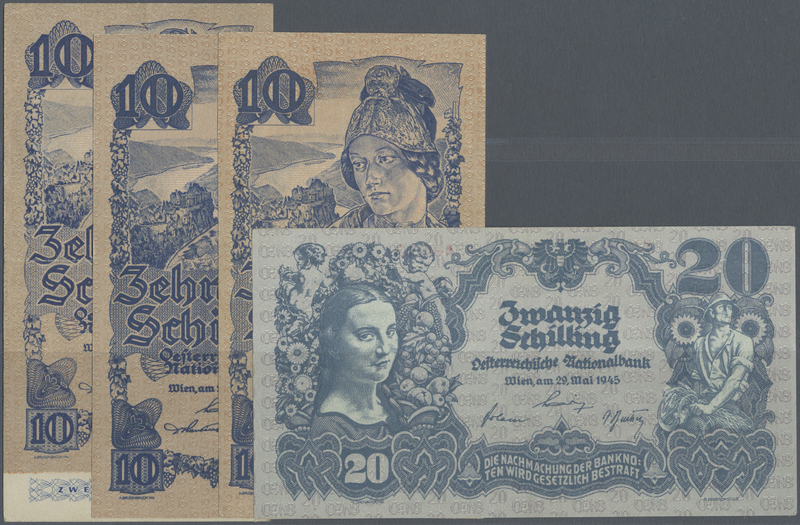 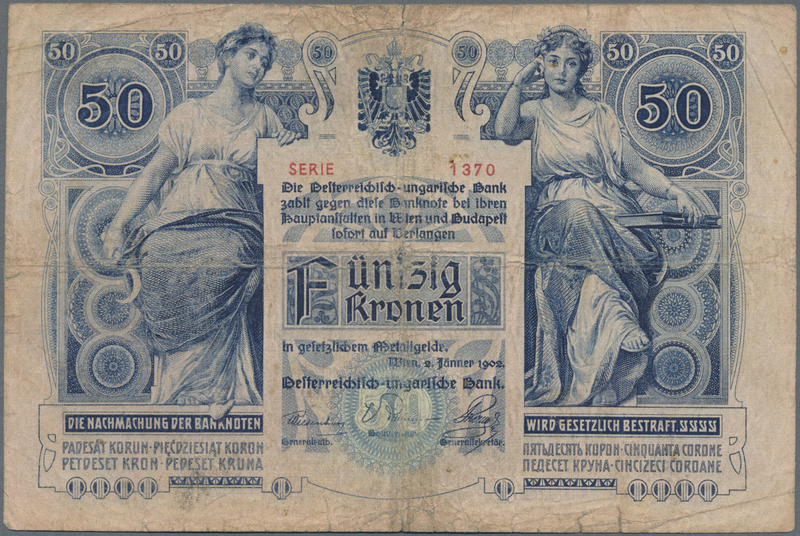 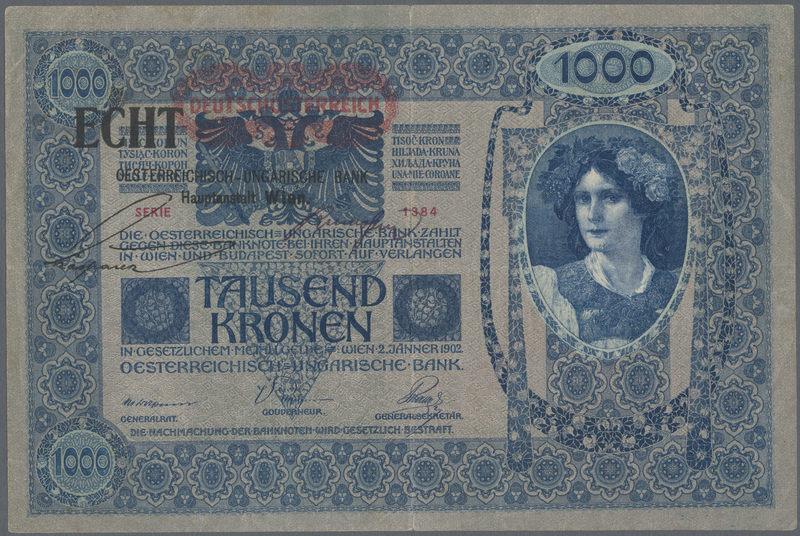 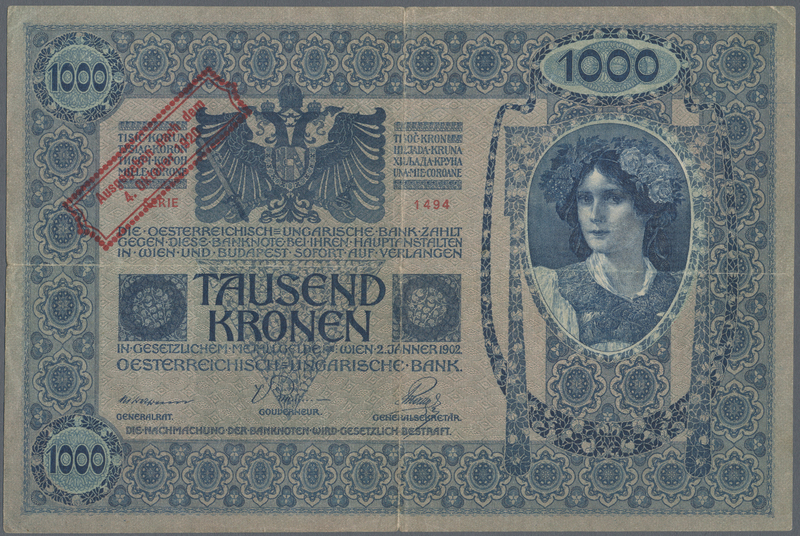 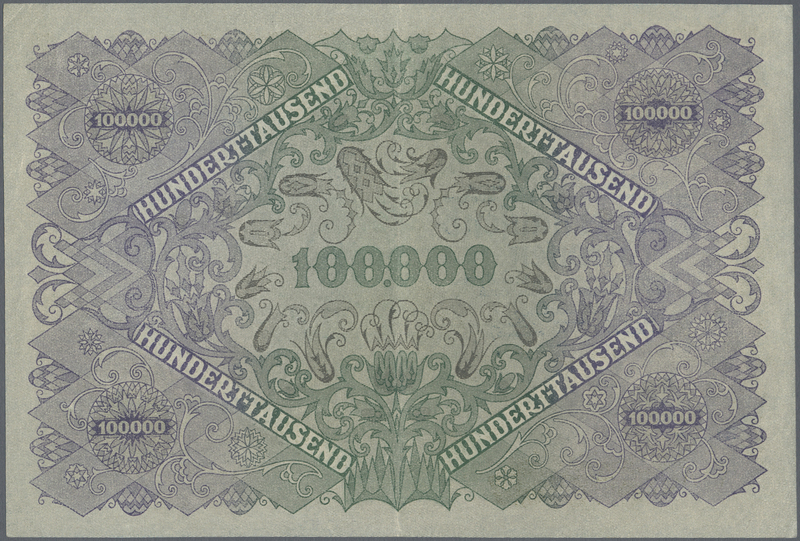 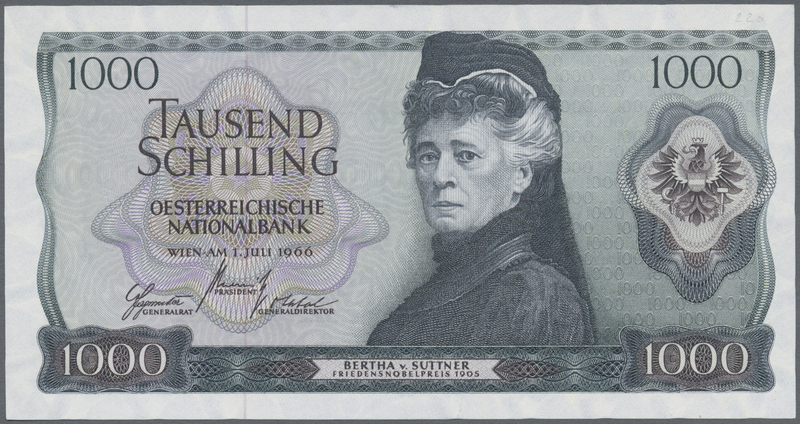 1046 Pick 1 10 Gulden 1880 P. 1, S/N 023887, rare note in nice condition with some vertical and horizontal folds but very strong original paper and original colors, no holes or tears, condition: VF(+). 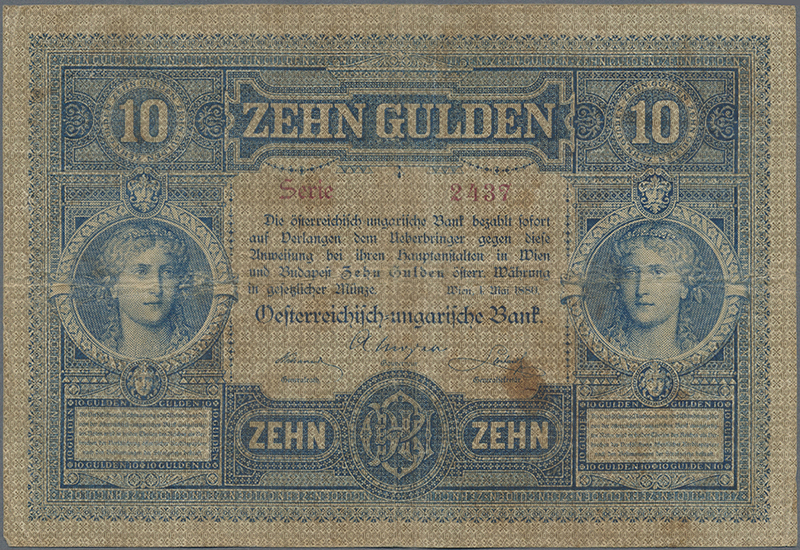 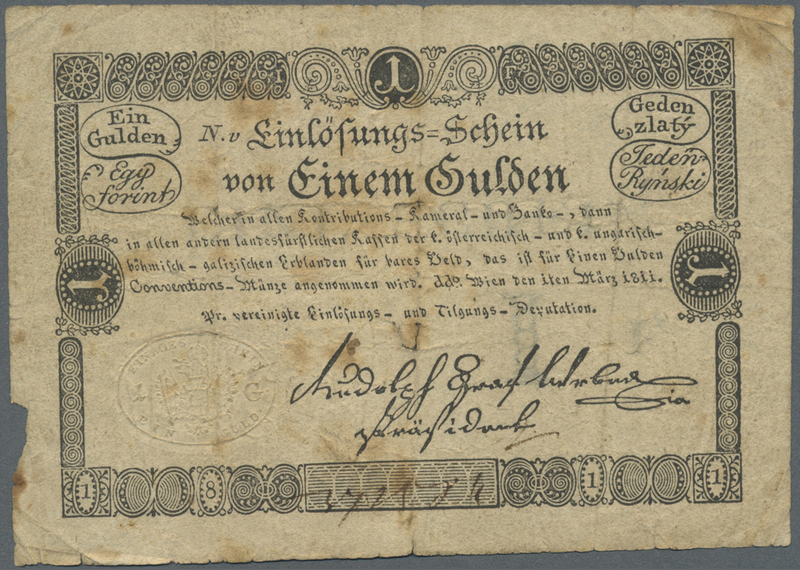 1047 Pick 1 10 Gulden 1880 P. 1, S/N 075392, rare note in nice condition with some vertical and horizontal folds but very strong original paper and original colors, no holes or tears, condition: VF(+).